The ideal biosensor for clinical use would be robust, simple and rapid to use, cost-effective, require minimal sample preparation, use small volumes, and have low nonspecific interference. It would also produce results that are nonbiased, and with low false positives or negatives. Fig. 1 Schematics showing different detection configurations with examples of the methods where they are used. This device would potentially integrate multiple steps and be flexible enough to handle a broad spectrum of applications. Some biosensors are beginning to meet these criteria; most are still in development. [6,7] Currently, almost all DNA biosensors use DNA/DNA hybridization to obtain specificity (Fig. 1). 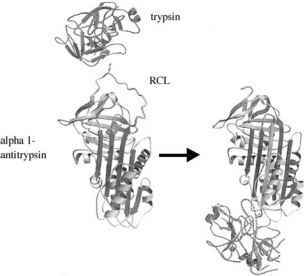 Several novel methods use nonspecific proteins including enzymes and ion channels to detect sequence information from single molecules of DNA. 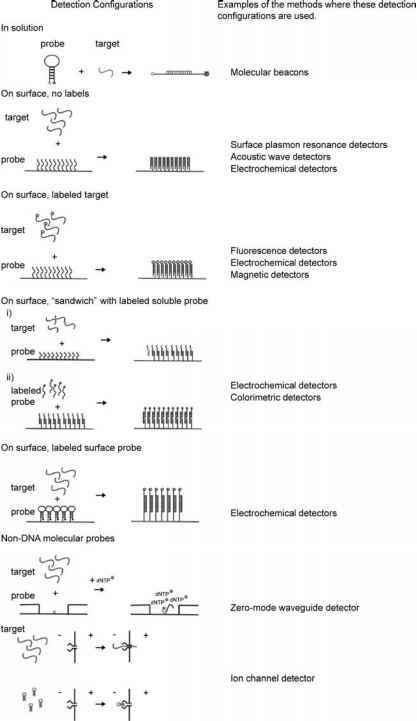 The following are examples of DNA biosensors with a comparison of sensitivity and stage of development.